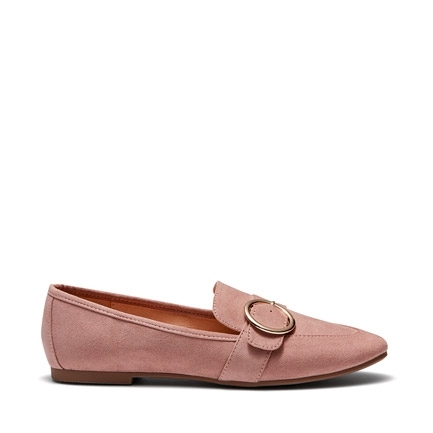 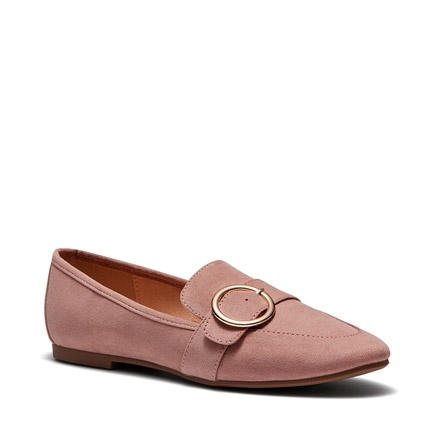 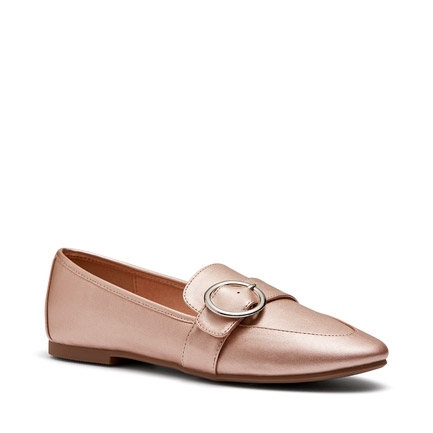 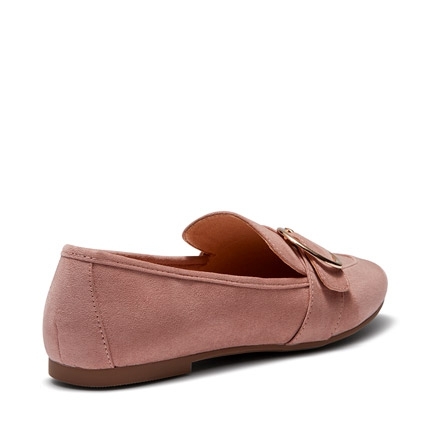 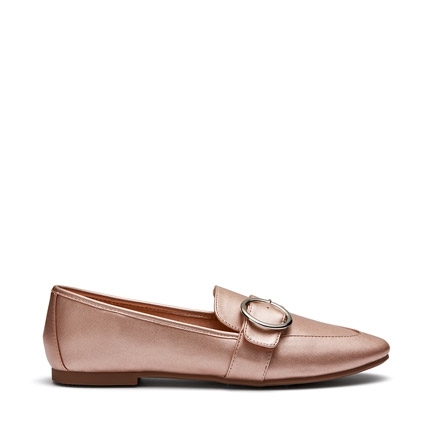 Subtle and feminine, Callope is a stunning loafer that is sure to become a season favourite. 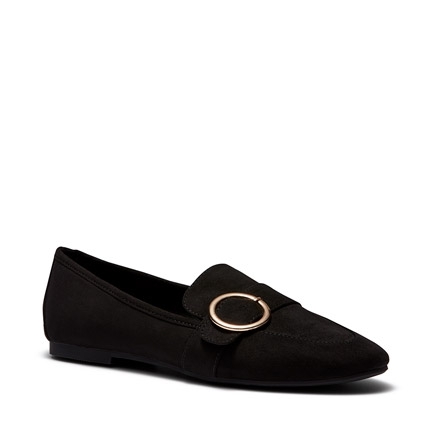 Sleek metallic round buckle detailing and soft microsuede finish, pair these flats with denim for a modern casual look with a twist. 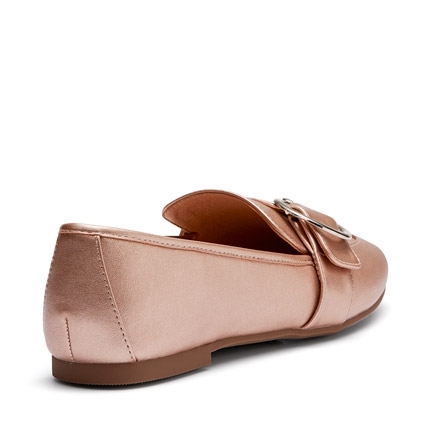 Synthetic Upper, Lining and Outsole.